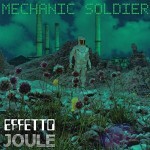 Effetto Joule – Mechanic Soldier – Album su disco vinile – MR-059 2016 Medical Records Seattle USA. In copertina: Transvision 3, di Flavio Biagi. Medical Records in collaboration with Crispy Nuggets returns to Italy for it’s 59th release. 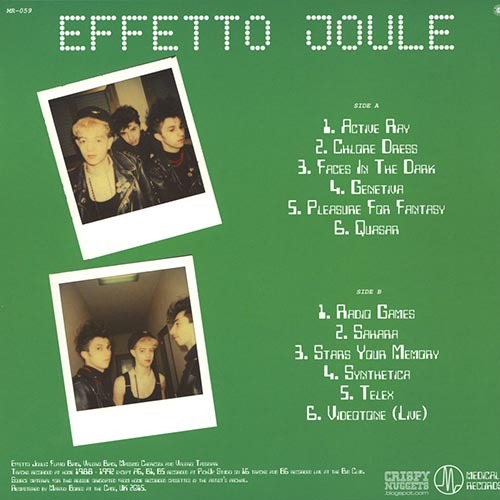 Hailing from Bologna, Italy in the late 80s, Effetto Joule were brothers Flavio and Valero Biagi , Massimo Chericoni and Valerio Tassinari. 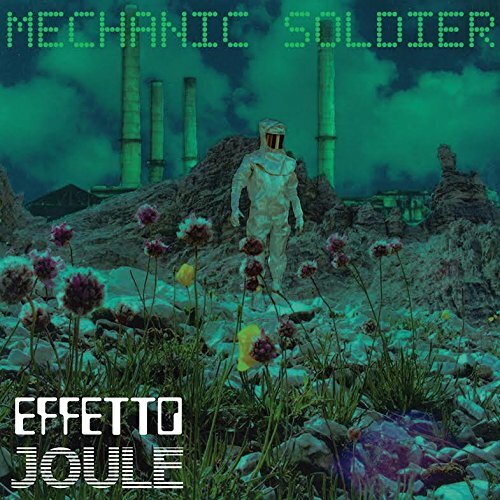 Drawing on influences of the early 80s new wave and synth pop scene and armed with an arsenal of synthesizers (Korg Poly-800, Roland alpha juno-1 and juno-2, etc) from the mid 80s, Effetto Joule crafted their own sound. 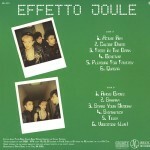 With the exception of the few of the tracks, almost all were home recorded during the years of 1988-1990. 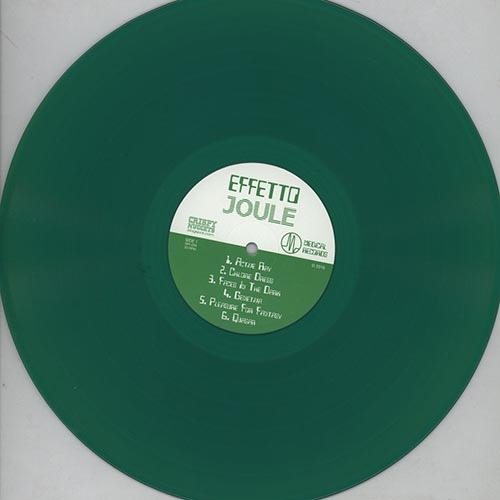 Effetto Joule self released a couple of cassettes entitled Ultraviolet A and B as well as one 12” single in 1989 on Top Sound Record (recently reissued by Mannequin Records with bonus material). The rest of their music has been unreleased demos from which thee tracks were hand selected. The tunes can best be described as densely new romantic with unquestionably catchy hooks and lovely vocals to boot. Standout tracks include Active Ray and Stars Your Memory. Fans of Visage, early Depeche Mode, and Dare era Human League will need this slab of wax in their collections to cherish. Presented on high quality 180gram colored vinyl. Limited edition. Remastered from cassette from the artist’s archive by Martin Bowes at the Cage, UK. Contains four digital bonus tracks!